Getting good Local Search Rankings is hard. Especially if your industry in your area is competitive. If you have a business in a large city and you want to show up in Googles 3-pack, it’s really difficult. Now throw in the rise of mobile search and WOW! It’s even harder. Google reports that 88% of ‘near me’ searches were conducted on a mobile device. 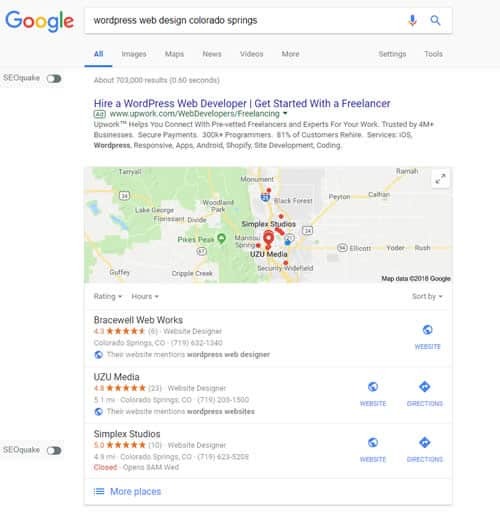 Ranking on a local search is no quick job. And when it comes to any SEO plan, there is one thing to keep in mind: SEO changes constantly, especially Local SEO. There are many things you can do to help your chances of ranking in the map snack pack, but in reality those results are influenced by many things completely beyond anyone’s control. One of the primary ranking factors is the persons location that is making the search. And if they are logged into Google it also factors in their preferences based on previous searches and the actions they took. For instance, someone does a search for ‘best coffee shops near me’ in one location, and one block away that same query could return completely different results. Using the same example, if the individual has been to other coffee shops in the area and gave them a 5 star review then theirs again could favored. Since so much is out of your control, its pointless to spend a lot of time on things that may not be attainable. So I have a list of 7 items that you can do to help yourself compete locally without focusing only on the map results, although these tips will really help you do just that. The verification process is pretty simple. Google will send you a PIN to verify your business, then all you need to do is log in to Google My Business and enter the PIN number. This proves to Google that your business is legitimate. Once verified, you can optimize your description and all the necessary information to help customers learn more. Online reviews play a big role in purchasing decisions in today’s world. In fact, studies have found that 84% of consumers trust them, just as much as personal recommendations. Outline your goals. How many reviews do you want each month? Social media and Google are the primary channels people look to in terms of reading reviews. Your business’ Facebook and Google My Business pages are the two areas in which you should be focusing the bulk of your efforts – as reviews here are influential in boosting online visibility. And as I’ve outlined in previous posts, make sure you respond to all reviews, not just bad reviews. Produce high quality content that speaks to your business offerings in your area. Tell your own story and how servicing your local area is important to you. This can be through blog posts, online Q&As, or any other type of page that is specific to your local area. For written content, it’s best to keep the length in the ballpark of 1000 words. Be sure to share this content on social media as well. If you have a number of different locations, it’s a wise move to set up separate landing pages for each. Creating and distributing branded content is one of the key methods for differentiating yourself in the market. With whatever you produce, be sure your messaging is relevant, informative, and actionable. While Google is KING, many people find out about businesses in their local area via online directories. Much like review sights and social media platforms, it’s important to be placed in ones are relevant to your business. It’s also important that your name, address and phone numbers (NAP) are consistent across all the directories you submit too. It takes a bit of effort and research but you’ll find it is time well spent, and in the end, will also help your chance of ranking in the local map snack pack. Titles and meta description tags are customizable elements that let users know what your website, or web pages, are about. These days most users scan the search results quickly, so these descriptions should be concise and easily absorbed. Setting these up with the Yoast Plugin makes it a snap. To get listed in local searches, be sure to include the name of the city or geographic area that you are targeting and try to position the keyword as near to the beginning as possible. Writing titles and meta descriptions is sort of an art form. You need to make every single element matter. While social media is not a direct signal to the search engines for ranking, links back to your site and good reviews on social media sites like Facebook can make a big difference. Social Media is a great way to connect with your local customers, it’s a great way to get broad exposure and acquire new fans, followers and connections. You can do this organically or via specific targeted paid campaigns. With your new-found followers, you’ll find social media as a great platform to share a lot of information about your business that might otherwise be challenging via a website or through organic search results. Don’t forget about ways to promote your business OFF the Internet too. Connecting with people face-to-face through networking and events is a great way to promote your local business. There are many ways you can get your name out there in the community. Sponsoring events from time to time is a great way to get mentioned in local content/news. 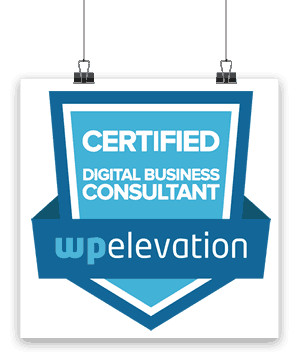 Making it clear that you are dedicated to serving the area can be an influential factor in improving your rankings. And always ask for links back to your website! 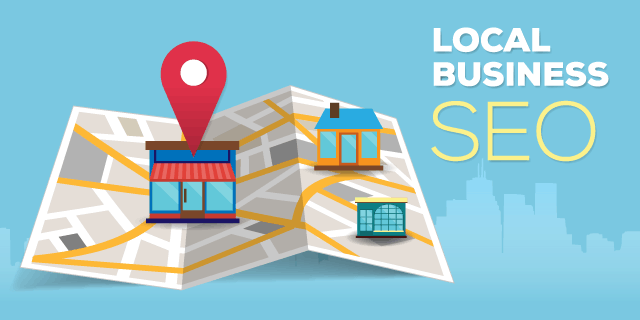 Following these steps to improve your local SEO is not a one time job, but rather an ongoing effort. Ranking high in the search results requires regular, consistent efforts. And you will need to keep an eye out for new trends and be ready to act on them too. I give consent to collect and store my information so Michelle can stay in touch via email. No spam. No worries, I promise. Easy unsubscribe.